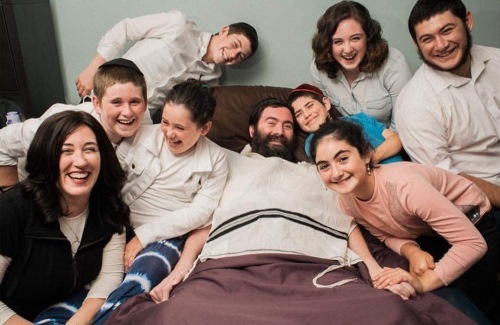 Rabbi Yitzi Hurwitz is a loving father, a devoted husband, a talented musician, and a joyous Chabad rabbi. He also has ALS (Lou Gehrig’s Disease). Unable to speak or type, he uses his eyes to communicate with his family and friends, and write heartfelt thoughts that are enjoyed around the world. Using the gift of technology, Rabbi Yitzi shares painstakingly researched, heartfelt Torah thoughts on a weekly basis. This beautiful song is performed by various music artists, and was written and composed years ago by Rabbi Yitzi. How a forgotten cell-phone recording brought back Rabbi Yitzi's voice, and shared his joyous outlook with the world. Many would be tempted to wallow in self-pity or anger. But the couple has heroically risen to the challenge. Before you criticize, ask yourself if it really matters in the long run. Are you better off letting things slide? Love her for who she is, and not for what she does for you.